The Shy One : JimiArt!, excite your soul with art! 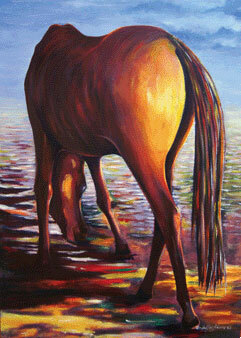 "The Shy One" is an oil painting by artist Olu-Jimi Adeniyi. Horses by nature tend to be a little shy and reserved. We respect and love them for there individual personalities, beauty, and strength.